Washington (CNN) Secretary of State Mike Pompeo’s smiling photo op with Saudi Arabia’s crown prince disguised the reality of a blunt, tough meeting in which the top US diplomat told the royal his future as king depends on his handling of Jamal Khashoggi’s suspected murder. 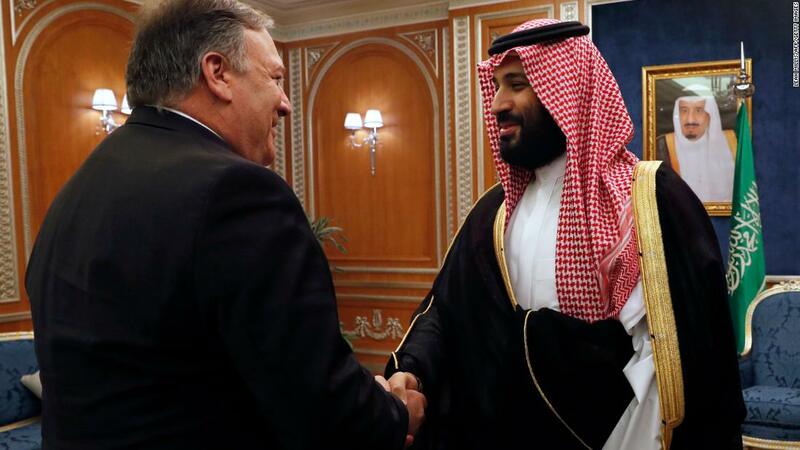 Instead, Pompeo told bin Salman in no uncertain terms that he had to “own” the situation, and “that every fact is going to get out,” said the source, who added that the smiles between the two men ended when the photo op did. The source presented this view of a tougher White House approach to the situation amid growing bipartisan criticism of the Trump administration’s handling of the suspected murder of the Washington Post journalist at the hands of a Saudi hit squad in Istanbul on October 2. Pompeo has been slammed for the warm, smiling images emerging from his trip to Riyadh, as the Saudi story about Khashoggi’s fate began to shift and Turkish media published grisly details about his suspected murder and links emerged that tie the suspected killers to crown prince himself. Bipartisan groups of lawmakers have begun demanding an independent international investigation into Khashoggi’s disappearance and are calling on President Donald Trump, who has touted the crown prince’s “total denial” of any involvement, to reveal his personal financial ties to Saudi Arabia. The source, who spoke on condition of anonymity to describe diplomatic meetings, said Pompeo also made it clear to the crown prince that the Saudis had to get their investigation done very quickly. The top US diplomat stressed that time is short and that the Saudis have to deal with the people involved sharply, the source said. The Trump administration is relying on Saudi Arabia for a slew of crucial foreign policy priorities, from funding for Syria’s reconstruction and the fight against extremists there, to getting Saudi financial support for a Middle East peace plan. Most crucially, the White House needs Saudi Arabia to keep international oil markets steady as they confront Iran and introduce new energy sanctions against countries that purchase Iranian oil starting November 4. He added that “sooner is better than later” for getting it completed. Even as signs point to close ties between the crown prince and some of 15 Saudis suspected of involvement in Khashoggi’s disappearance, the President made it clear in a Wednesday interview with Fox Business that the administration would find it acceptable if King Salman and the crown prince were found to be unaware of the suspected killing. “That’s a big factor in my eyes,” Trump said. The source did not describe how the crown prince or the Saudis reacted, but said the message had been received. When asked if Pompeo felt the crown prince would do anything, the source said the proof will be in what action the Saudis take. 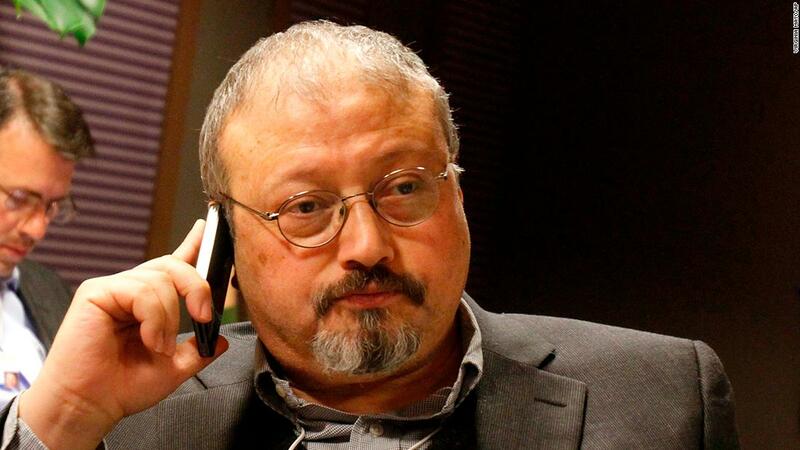 Turkish officials have told CNN that Khashoggi’s body was dismembered after he was killed in the consulate, and a source said that the father of four, who was 59 years old when he disappeared, may have been injected with some kind of tranquilizer.